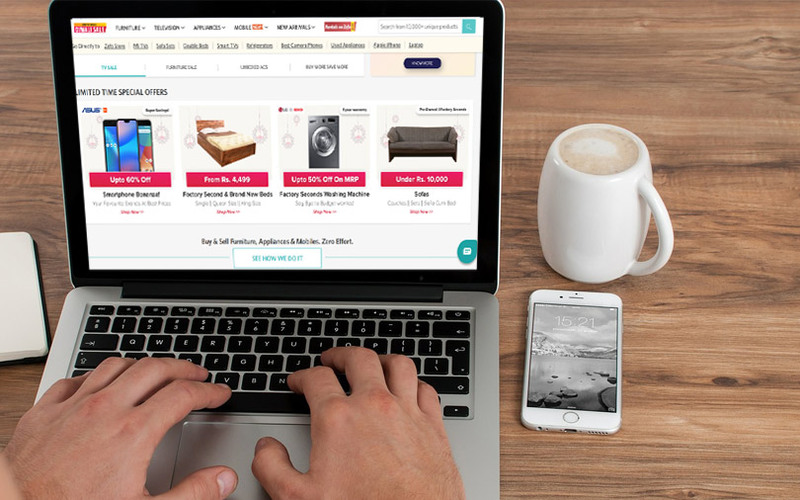 GoZefo, an online marketplace for second-hand goods, has raised around Rs 21 crore (close to $3 million) in a fresh round of funding, a person privy to the development told TechCircle. The round was led by New York-based stage-agnostic investment firm FJ Labs, co-founded by Fabrice Grinda, one of the founders of online classifieds firm OLX. FJ Labs has put in around Rs 10 crore in this round. Existing investors Sequoia Capital and Helion Venture Partners also participated, the person said, asking not to be named. GoZefo co-founder Rohit Ramasubramanian confirmed the development. “The OLX co-founder is a very relevant investor for us. It was more of a chance to get him on board. It is strategic capital for us,” he said. FJ Labs is an investor in a number of companies including Chinese e-commerce behemoth Alibaba Group and US-based cab-hailing app Uber. GoZefo, operated by Bengaluru-based Zero Effort Technologies Pvt. Ltd, was founded by Ramasubramanian, Arjit Gupta, Karan Gupta and Himesh Joshi in 2015. IIT Madras alumnus Ramasubramanian and IIT Delhi’s Karan Gupta had worked with the Boston Consulting Group and Helion prior to starting GoZefo. Joshi, who is also a graduate from IIT Delhi, was working with BCG as a consultant before co-founding GoZefo. Arjit Gupta, an alumnus of the Indian Institute of Information Technology, Allahabad, has previously worked with companies such as Flipkart, Amazon and Adobe. The startup operates in Bengaluru, Mysore, Delhi, Gurgaon, Noida and Mumbai. It offers appliances such as televisions, refrigerators, washing machines and microwave ovens, and furniture products including beds, sofas and dining tables. In August last year, VCCircle was the first to report that GoZefo raised $9 million from Helion and Sequoia. In November 2016, GoZefo had raised $6 million (Rs 40 crore then) in a Series A round of funding led by Sequoia, with participation from venture capital firm Beenext and Helion. According to VCCEdge, the data research platform of News Corp VCCircle, GoZefo posted net sales of Rs 11.4 crore for 2016-17 and a net loss of Rs 30 crore. The company has not filed its financials for 2017-18.